This must have been the longest break I took between two posts. I’ve been busy with recent changes in my life- an MA thesis to complete, several PhD applications to make, transatlantic journeys to attend university open houses, conference presentations and whatnot. Every time I feel I’m not paying enough attention to drawing, I find myself in the middle of a drawing that I invest much more experience and less time in, new, advanced techniques and a newer level of realism. I worked on this picture far less than I used to work for my previous posts, and I take full responsibility for the parts that could have been better. The initial idea was to create a winter scene with snow on the windows/skylight and a cozy glass-marble fireplace but later on I opted for a living room with a young professional guy with a taste of design in mind- what would such a man have in his living room? The curtain covering the skylight was modeled using Marvelous Designer. Most of the models except the cloud lamp, , the bookshelves, the curtains and the blinds are ready made- I found them from various sources and made some improvements to the materials that came with the models. The floor and the wall tiles were generated using RailClone Lite. I paid extra attention to the reflectivity of the materials in the scene this time. 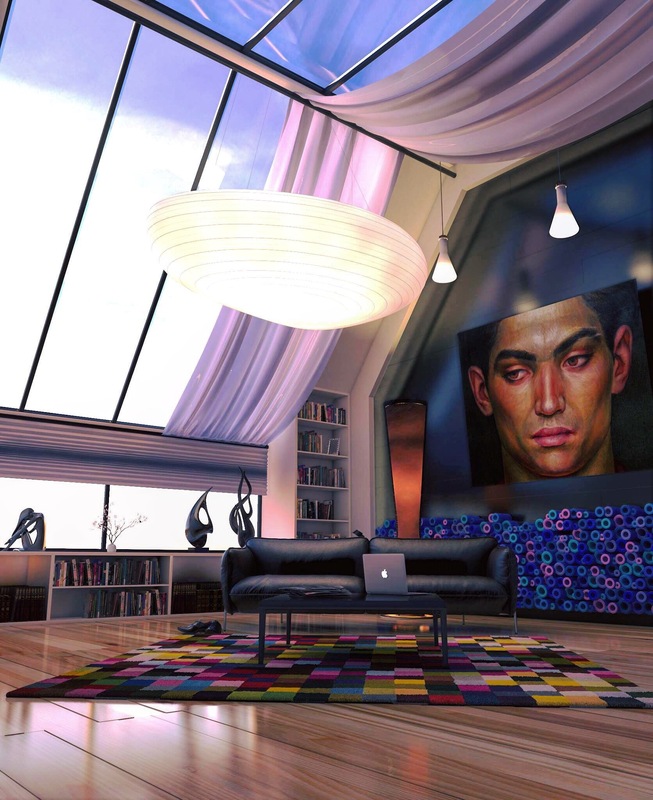 Posted in InteriorsTagged 3dsmax, interiors, lighting, railclone, vrayBookmark the permalink.